Persija fans invaded the pitch and staged a riot during the second half of their match against Sriwijaya. Hungarian fans briefly clashed with stewards before the match. 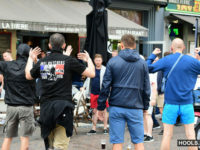 English and Welsh fans were involved in clashes with Russian hooligans in Lille. Russian hools attacked England fans inside the Stade Velodrome after the match ended. English and Russian fans clashed with each other and riot police in the French port city of Marseille. Trouble broke out again in the Old Port district of Marseille. 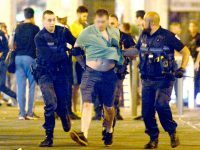 England fans were involved in clashes with Marseille hooligans in the southern French city shortly before midnight on Thursday.